Advertising is just one of the many tools for a branding process. So are your corporate identity, corporate trainings, team building activities, public relations, social media and events.. they are branding tools to create a brand perception among your target audience, for them to get to know you better in the most relevant method. Having said that, many will begin to think branding is out of their pocket’s league – and that isn’t true. The only budget a business should have is time. Branding takes time and is scalable to your monetary budget. 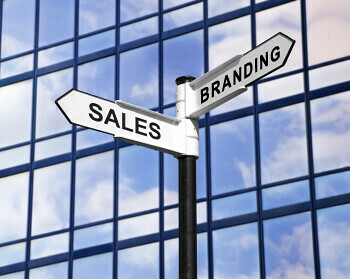 In most situations, branding starts internally, within your own business – your directors, managers, employees, everyone. How so? If these people do not believe in your brand, you’ll have a hard time convincing your target audience to believe in you. Always examine inwards before going out there! Consumers are getting smarter these days and you definitely do not want to be seen as an empty brand. This is perhaps what frustrates me the most – businesses tend to think that the minute they step into the branding process, sales will roll in like never before. If that is your purpose in branding, you’re heading the wrong direction. It takes time.. and for some, LOTS of time. Why? Simple. One of our client in a retail business have been wanting to have a place in various major shopping malls in Malaysia and they couldn’t – their existing brand image does not meet the requirements of these locations. What we did immediately was to create a fresh brand image for them.. from scratch! We went through the motion of brainstorming, creating a new theme / concept, logo, training sessions and the likes and yes, it took a couple of months to get everything in place as they do not have any proper organization (i.e. management) as yet. As you could’ve guessed, they gave up half way through with the reason of – there was no increase in sales. They see all they’ve spent as a liability instead of an investment – an asset to their business for expansion. Strange, but true. There are many out there that still think branding is the magic word to sales but unfortunately, it does not work that way in reality. If Only Branding Is THAT Easy..
What is your take on branding? Have you came across brands you thought that they were ‘empty’? How do you define ‘successful branding’?